We make it easy for you. We help you select the services that will make the perfect package for your needs. Leave your contact details! 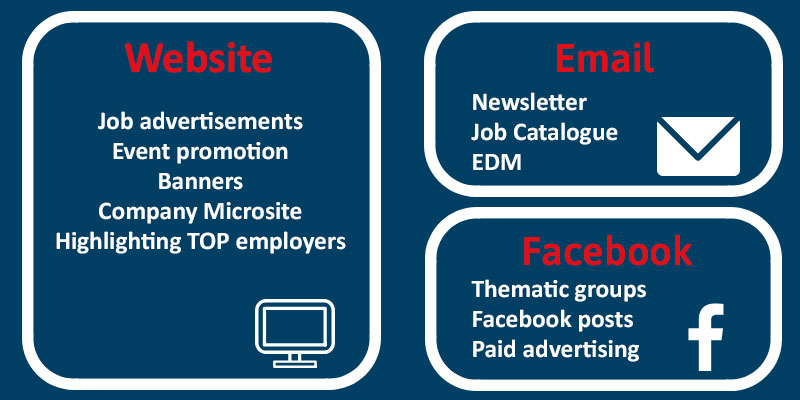 Our online advertising services can help you organize your recruitment and employer branding campaigns and promote your career event. After determining your target group and other preferences, we give you advice on which of our services to choose in order to reach potential candidates the most efficiently. These services can include publication on our website and on our social media sites as well as email marketing. Can’t wait to launch your next successful campaign? Just leave your contact details and we’ll get in touch within a business day. Should you already know what you need, fill out our order form and send it to your contact person or to info@frissdiplomas.hu. Wouldn’t it be great if the name of your company sounded familiar to your target group? Would you like to be known as a popular employer? If you answered ’yes’ to at least one these questions, you might want to consider expanding your online presence with experience-based employer branding activities. 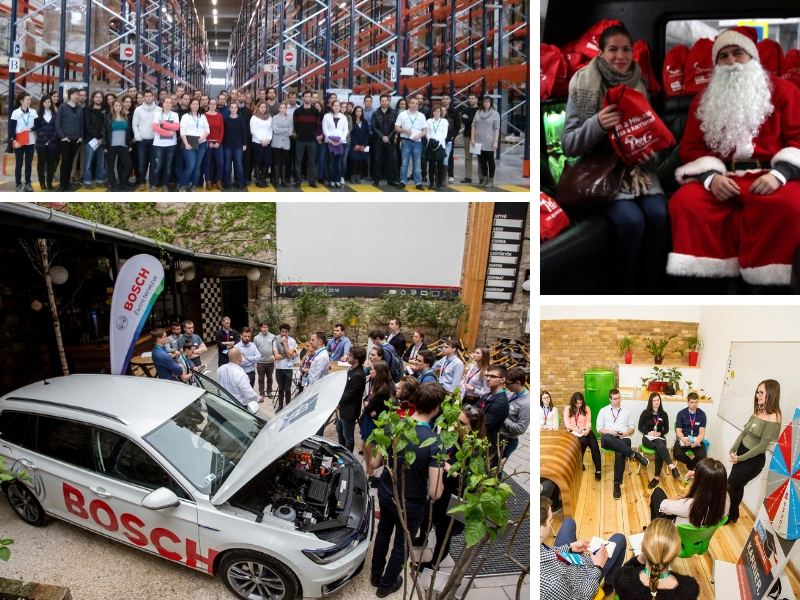 We have organized factory tours, free give-aways at universities, quiz nights... Would you like to provide a unique experience too? We believe it is essential that you meet your potential colleagues in person besides being available online and our job fairs provide ample opportunity for that. This way, not only can you make a direct impression on your target group, you can also shorten the selection process, as you can also get a clear picture of the applicants. What are our job fairs like? We fill the Budapest Sports Arena at the HVG Job Fair twice a year. We have organized the Women’s Career Day four times so far at Millenáris Park. We have taken part in the organization of the Hatvan Job Fair since its launch. 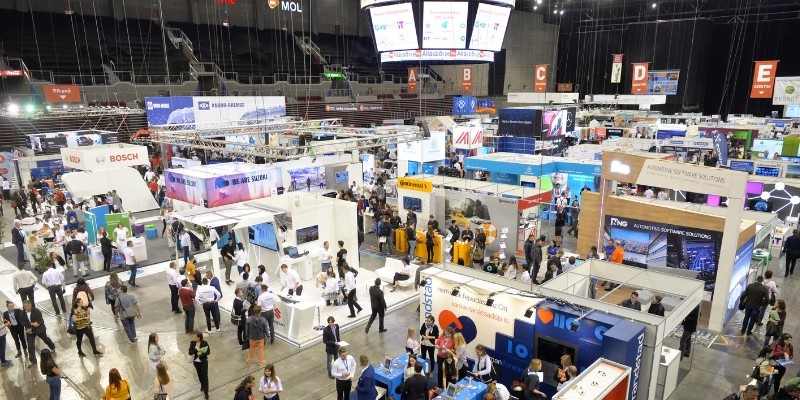 We have helped the organizers of WestEnd Career Days and Corvinus Expo select professional programmes. Are you interested in participating in the next HVG Job Fair? Leave your contact details and we’ll get in touch within a business day. Should you already know what you need, fill out our order form and send it to your contact person or to info@frissdiplomas.hu. Let’s talk and find the best solution for you together. Leave your contact details and we’ll get in touch within a business day. Alternatively, you can also contact our sales manager, Gabi Mészáros directly at the following number: +36 20 353 1958.